Facebook and Instagram? What is Behind it? If you have yet to hear the news, Facebook recently acquired Instagram, a popular photo-sharing app, for a whopping $1 billion. 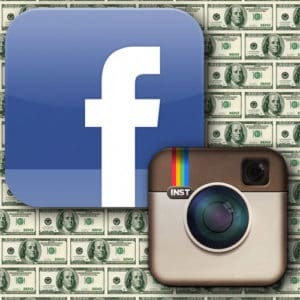 It may seem like a lot of money, but since Facebook is valued at $100 billion, paying that amount of money was easy. And for Facebook’s first acquisition, it has many people buzzing about the purpose of the acquisition and the future of Instagram. 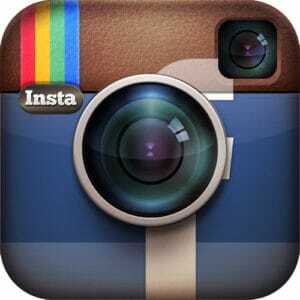 Why did Facebook acquire Instagram? There hasn’t been a real reason as to why the acquisition occurred, just a post on Mark Zuckerberg’s own Facebook page, which has led to even more speculation across the Internet. Some people claim that Facebook wants to use Instagram as a way to reach out to the younger generations. Though Facebook is the most popular social media site, many of their users are in the older demographics. Those who joined the social network site during its conception were in college and are now in their late 20s or early 30s. Today, most of its new users are middle-aged to older individuals. Over the past year, and since Instagram has recently become available on Android devices, the amount of users has jumped from 5 million users in June 2011 to 30 million users in 2012. Instagram has quickly gained popularity, and most of its users are in the younger demographic, which is why some people claim that Facebook made the acquisition—in order to reach out to the younger demographics again. Others believe that Facebook was scared that the growing popularity of Instagram was going to quickly push Facebook out of its number one spot. Rather than see the demise of Facebook, some claim Facebook made the acquisition to remain the leader among all social networks. It has recently been reported that Twitter tried to acquire Instagram well before this Facebook acquisition occurred, which has made some people wonder if Facebook only acquired the application so that Twitter never could. Others are speculating a more positive answer, stating that Facebook was in awe of the app and its successes and wanted to simply join forces. What does the acquisition mean? Unfortunately, there is no right answer for this yet, as only time will tell what Facebook has in store. Though through reports, Zuckerberg has claimed that they will keep Instagram alive, and they will continue to allow users to post to Twitter and Foursquare, keep their Instagram friends separate from their Facebook friends, and continue the ability to not automatically share their Instagram photos with Facebook. However, some worry that Instagram’s easy to use and simple features and functionalities are going to be destroyed due to Facebook’s obsession with constantly needing to make changes to a perfectly good platform. Until we hear a reason and a plan from Mr. Zuckerberg himself (something a bit longer than a Facebook post), we will simply have to wait and see what’s in store for the Facebook/Instagram combination. Maybe it was an innocent acquisition, or maybe there was a plan behind it. Only time will tell. Andreas Svensson is a swedish born IT specialist and technology wizard who often writes about gadgets and software. He knows his grammar can be a bit off at times so he always proofs his writing with a grammar checker to fix any of his mistakes.